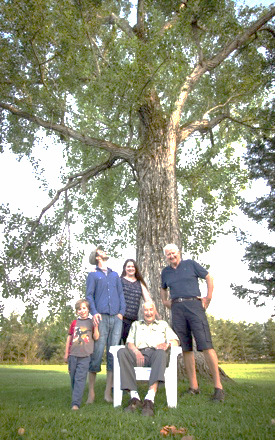 Gildas Forest was born in Bonaventure on December 1, 1916 on the family farm built by Alexis Forest. It housed then two Forest generations, his parents, Abraham and Elmire, and his grand-parents Joseph and Élizabeth. It was mid First World War. George V was King of England. Just like Downtown Abbey, telephone and electricity were intriguing if not frightening novelties, the automobile was an invention for daredevils, rigorous discipline, an omnipresent respect for the elders and life on the farm was the predominant lifestyle. Gildas Forest was predestined to become a farmer. Twenty-six years later, in 1942, he got married to the woman who would be his most faithful allied for 73 years, Marguerite Roberge. He built his first house by himself at Thivierge in one year, established a stable and cleared his parcel of land. He discovered that he was gifted as a builder, and worked in building many houses for diverse Bonaventure residents. His future vocation is forming up! However, he will need to continue to plough and farm, because Elmire, his mother pleads with him to take over the farm and the family home, which he will do in 1948. However, hay is less inspiring then square and hammer. In 1956, he starts with Marguerite a construction company that will eventually employ about thirty men. He built at times houses, schools, shopping centres, stores for Robin, one or two banks, a bowling alley, and why not, a stretch of highway and a military radar facility, as well as refurbishing a few churches. He also takes the time to raise 5 children and later became a wonderful grand-father. Gildas finds the time to get involved in his community. 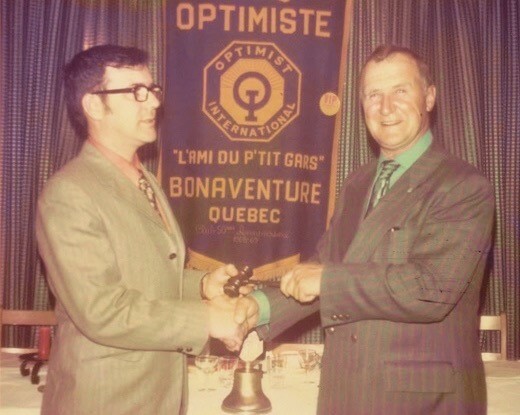 Sometime councillor for the parish building project, or the Lacordaire Club member, at the end of the 60’s, he was president of the Optimist club and mayor of Bonaventure from 1974 to 1978, just like his father Abraham before him. During his term, the arena was built as well as the Acadian Museum, the expansion of the campground, the depolluting of the river estuary and aqueduct in Bonaventure West thanks to the gift of a well on his land to supply it. 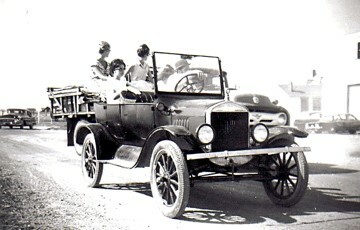 His very first car was a Model T Ford, while almost all his other cars were Chryslers, including the one he owns these days. In the 60’s, he took over the village’s Esso garage, and under the influence of his eldest son, Roland, he got one of the rare Volvo dealership in Quebec. Because of loyalties, he temporarily left his Chrysler for a Volvo. Summer or winter, his house is opened to family and friends of the family. 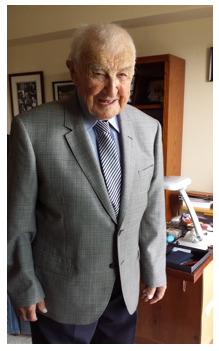 At all times, people come from Chandler, Lac Mégatic, Sault-Ste-Marie, Kapuskasing, North Bay, Montreal, Toronto or Québec, even the United States and Europe to enjoy Gildas and his family’s warm welcome. Nothing is more pleasing to Gildas than seeing his grandchildren and great-grand-children, who reciprocate. They all made “somersaults” in his arms, listened to his stories and learned a little more about the meaning of life in his presence. The infinite love he gave them was returned a hundredfold with the profound affection he received from all his grand-children. 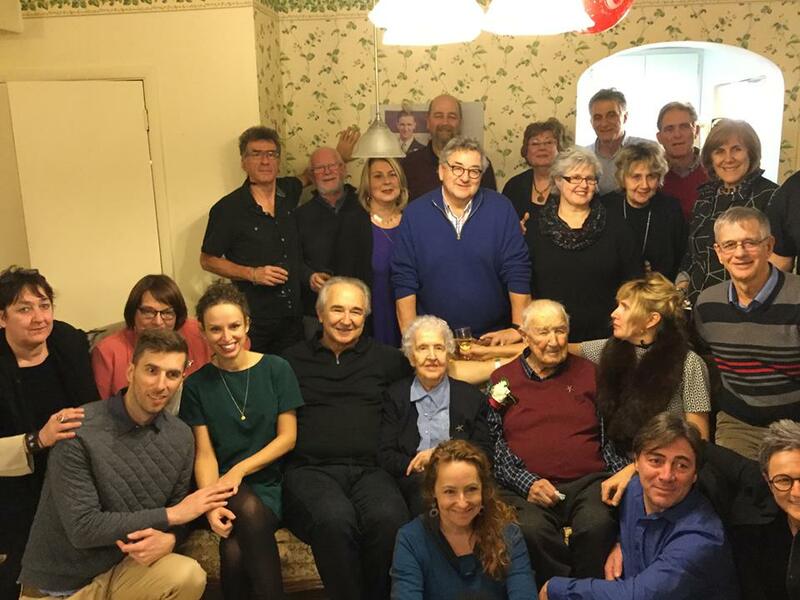 Uncle Gilles was 101 on December 1 Surrounded by his children, grandchildren, nephews, nieces, friends and friends in Bonaventure Gaspésie.